The gear that doesn't melt! 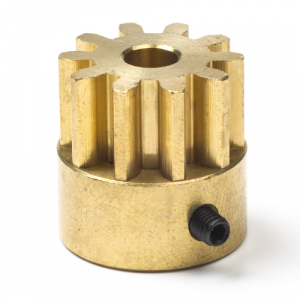 This brass drive gear replaces the plastic ones used in most extruders. It's very strong, will not slip and doesn't melt. Perfect for heavy duty extruders, extending the lifetime an increasing the reliability of your extruder.